If you care about what you eat, you need natural food without adding chemical components, then the best option for you is a real farm. 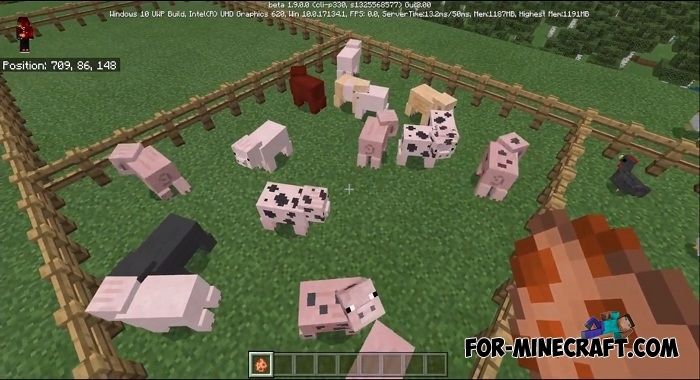 The original mobs are good because they can provide you with food and other useful drop, but for a large animal farm you will need completely different animals. 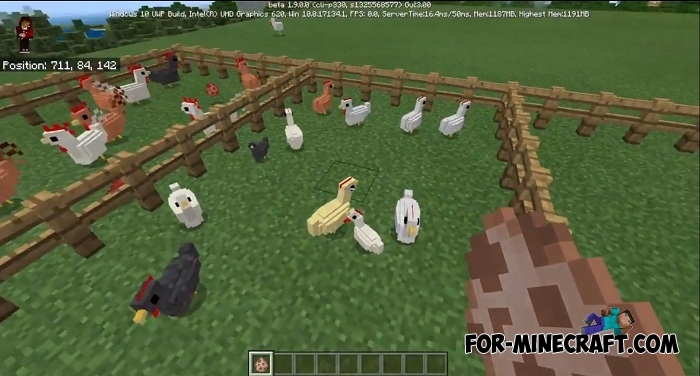 The original name is Domestic Mobs and it adds the 4 most famous farm animals to Minecraft PE. Traditionally for any villages, these are hens, roosters, cows and pigs, but what is special about them, you ask? Unlike vanilla mobs, these are tameable and contain more drop that are better suited for farms. Thus, nothing will prevent you from building a real farm with a bunch of animals that will bring you plenty of meat, eggs and milk, as well as provide other related things. In addition to animals, many miners build a plant farm and grow wheat, vegetables and fruits, as well as bamboo, which has become a new feature in Minecraft Bedrock Edition 1.9. How to install the Animal Farm addon? 1. Open the .mcaddon file using the game.